K.L. Harring is a full-service warehouse. When we say full-service, we mean that if your company needs any kind of service we can provide it. K.L. Harring can provide a full range of storage and handling services to help meet your storage and distribution demands. Our warehousing facility consists of approximately 60,000 square feet of pharmaceutical grade, indoor temperature controlled storage space. We provide pallet and partial to total rack storage for corporate and mid-range companies. We are conveniently located at the center point of all major highways and interstates in Central Pennsylvania. We offer competitive rates and bonded warehousing. Our warehouse has a modern alarm system installed throughout and is monitored 24-hours a day by a Security Service organization and the local Police authorities to ensure that your valuables are safe and secure. Transportation of stored products for delivery or wholesale distribution. The availability of trucking at our warehouse removes an additional logistical barrier for our customers. Why is K.L Harring the best choice for your company? K.L. Harring does only storage and delivery of commercial goods. By utilizing this service, you can concentrate on what your company does best and leave the safety, security and delivery of goods to us. Do your inventory requirements change seasonally over the course of a year? Why build space, buy equipment, and hire employees when you only need storage 6 months a year? If you need just-in-time delivery, we can receive your goods by truck or container and ensure on-time delivery from a local warehouse. In addition, we can maintain an inventory of items in stock to avoid your production problems form hindering your service to your customers. As a small, flexible company, K.L Harring has low costs and overhead. We can perform many functions efficiently and at a low cost which in turn saves you money. K.L. Harring management have over 50 years combined experience in the trucking and warehousing industries. Our on-site supervisors each have valuable experience in the industry. Do you have a one-time need for repackaging, testing, or sorting of your goods? Do you have goods on quality-control hold that are clogging your current logistics flow? We can help by providing a short-term outlet. 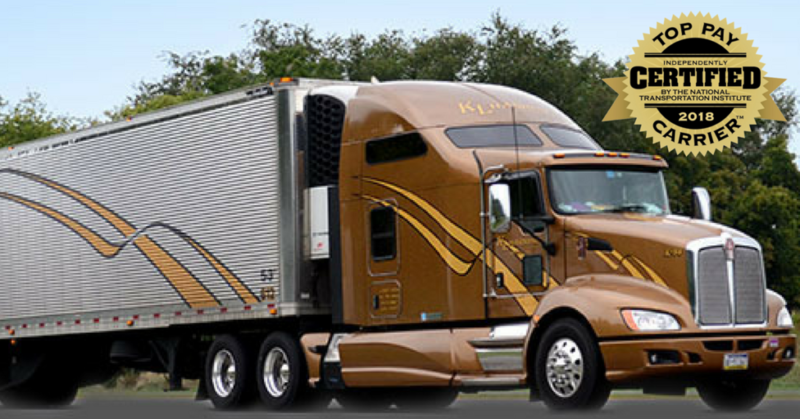 K.L Harring is working harder each day to help our valued customers reduce their distribution costs, gain market penetration and continue to increase their bottom line.